Gemco International is responsible for studying the production needs of the end customer and searching for the best machinery. Their technicians are able to install and maintain them thanks to their 35 years of experience in more than 45 countries. Through Gemco International, a Kuwaiti customer purchased a 300 ton over 4 meters X-Press Easy press brake. The machine is equipped with the Reflex deflection compensation system and Gasparini adaptive crowning. 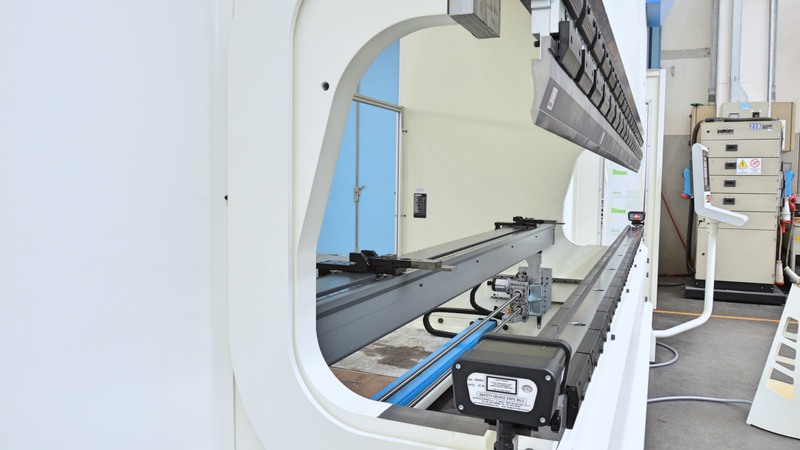 The 600-mm daylight and 400-mm stroke allow large workpieces to be produced without worries. Clamping is manual for both punches and dies. The 2-axis X-R backgauge is equipped with pneumatic locking and unlocking of the backstops, which can thus be moved without tools from the front of the machine. The Delem DA-58T CNC includes the Tele-Link tool for remote assistance.